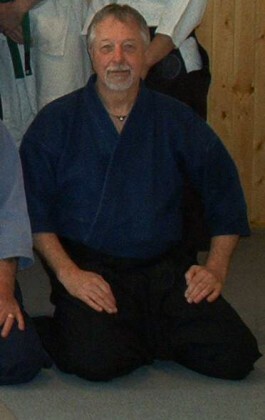 Shihan Ronald Moore, MA, MSW, brings more than 50 years of martial arts training to the mat. In addition to Aikijutsu, he has also studied extensively in the arts of Karate, Wing Chung Kung Fu, and Aikido. Sensei Moore continues to expand his martial arts education and passes his learning on to others by participating in planning and teaching at martial arts seminars up and down the West Coast.